Coronal loops appear when magnetic field lines are filled with hot plasma. 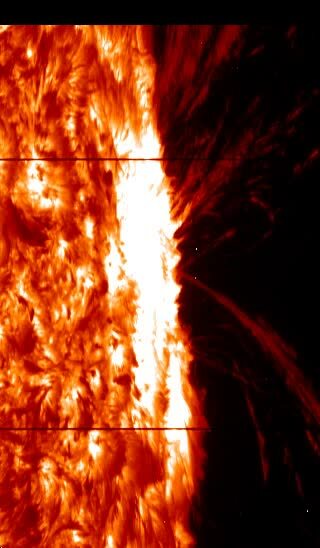 This plasma then radiates away its energy, cooling and condensing out of the loops in a process called coronal rain. This process is most spectacular when viewed off the edge of the Sun against the black space behind. In this movie, we view the coronal rain by scanning through different wavelengths, separating out the plasma emission in the raining loops. In this way we are able to see through different layers in the plasma.